I will be the first to admit that I have been itching to try the Burt’s Bees lip balms for just about ever, and didn’t get around to it until this winter. 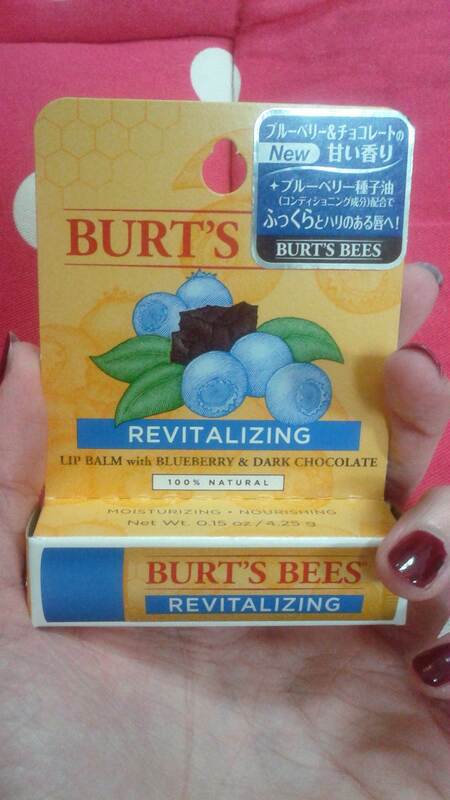 After taking some time to pick which flavour I wanted, in the end I went with Blueberry and Cocoa – and I am loving it! I find myself just taking it out of my makeup bag throughout the day, and just taking the cap off and sniffing it repeatedly. My co-workers must definitely think I’m a weirdo, but it smells just like a chocolate bar! You’d be the same too! The only qualm I have about it is one that I have with most twist up tubes, and that is when the twist up mechanism stops working. It’s not a huge problem though, and doesn’t stop me from buying them anyway. It does its job as a lip balm perfectly well, and I look forward to either getting this same one again, or trying out one of the other lovely flavours. Had the “classic” one with peppermint oil before but that was kind of irritating my lips. I sniffed the mango one the other day 🙂 It’s gorgeous! I am absolutely reliant on the pomegranate flavour. It’s slightly berry tinted so gives your lips a bit of natural colour when they’re a bit pale (as mine tend to get!). So happy to have stumbled upon your blog! I’m a make-up junkie myself, although I’m not sure I can get away with “glitter eyeshadow” since I’m in my um…. very late 30’s! (shhh, I won’t tell if you don’t)! 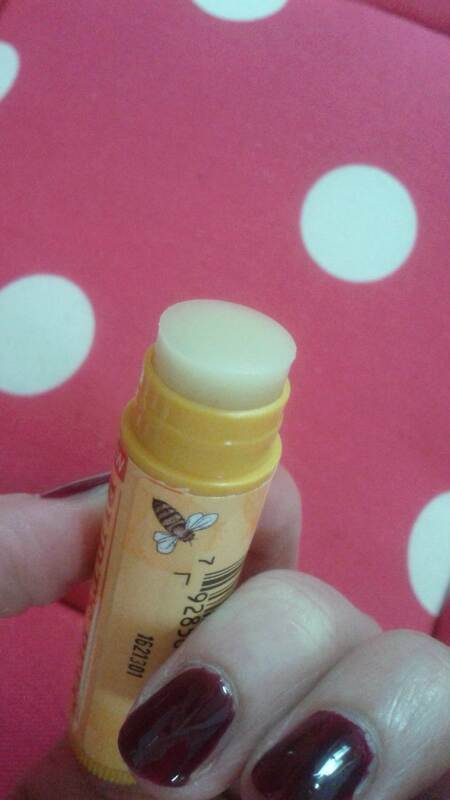 I have been trying to use more natural, if possible, but “Burt’s Bees” is the absolutely best in balm, out there. My lips were cracked, sore, (my doing) but the lip balm from Burts saved the day! I haven’t tried this one, but I’ve tried many of the others and I LOVE them!! Oddly enough, too, I’m allergic to a lot of toothpaste, but not the Burt’s Bees! I think they make great products! I love Burt’s Bees, especially the tinted lip balms. My favorite was the Tiger Lily which (sadly) they seemed to have discontinued. 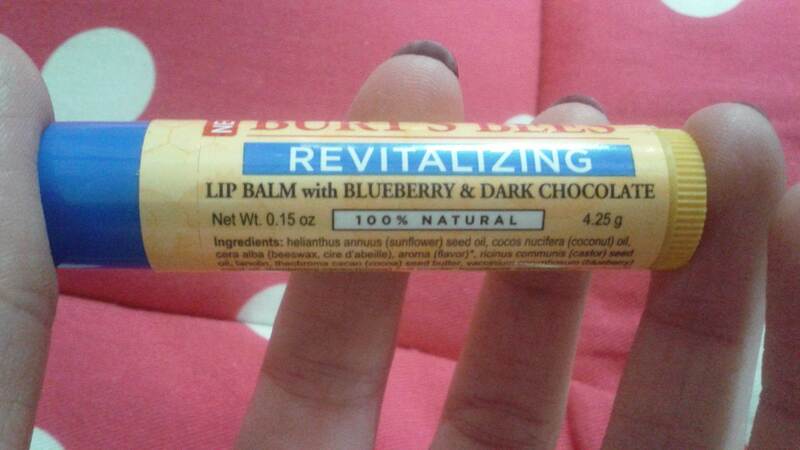 I absolutely love Burt’s Bees lip balm! It’s so great. I’ve never seen this blueberry flavor but I’m intrigued! You would love the tinted lip balms they have. I own 3 and it’s not enough! Good enough to be lipstick but feel moist! The Burt’s Bees line is a good one 🙂 Glad to hear you enjoyed the lip balm!